TEKMUN 2018: The First Professional MUN in AYDIN! TEKMUN 2018: The First Professional MUN in AYDIN! Take a Closer Look at the Team! MUNTurkey.com: Hello TEKMUN 2018 Team! Could you please tell us more about Academic and Organization Team Members? Hello, first of all, we would like to thank you for giving us the opportunity to introduce TEKMUN’18. Our MUN Club picked the team members meticulously. Our Organization Team consists of two Director Generals who work with a balance, two head of PR who put everything they have to make our delegates feel comfortable, one Head of Finance and one Head of Staff. They are ready to provide the delegates what they need to have a beneficial conference. And Academic Team Members are working day and night to make perfect committees with current agendas. Our Secretary General and deputies are the best you could find in Aydın! Our team knows how to show respect to each other when working and always cares about other’s opinions. 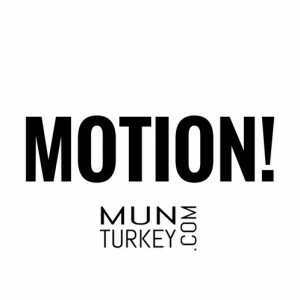 MUNTurkey.com: First time there is an MUN conference is going to be organized in Aydın. What will the participants of TEKMUN 2018 go through? What are the top activities to be done in Aydın? Could you please give more information about Aydın in regards to TEKMUN 2018? We are very thrilled to organize the first Mun Conference in Aydın. We will make sure that all the participants of TEKMUN will be welcomed with a bright smile and a wonderful hospitality. The participants will be guided by our lovely PR team during the time they will spend in Aydın and they will have a chance to socialize with other delegates in coffee breaks. Our organization team is preparing a social event in Kuşadası which should be described as ‘the center of fun’. MUNTurkey.com: TED Schools have been organizing many MUN conferences in various abroad and domestic venues such as Ankara, Bursa, and Antalya. Finally, TEKMUN 2018 Team has decided to organize an MUN in Aydın. Do TED schools or MUN clubs of TED have any cooperation with each other? What kind of advantages do you have while organizing an MUN conference? Yes, of course, TED schools have been cooperating with each other about these kinds of organizations from the beginning. We have got in touch with other TED Schools all around Turkey and they are very thrilled to be a part of our conference. Our biggest advantage is cooperative students and faculties in TED Schools. Also our school, principal and our teachers are a huge supporter of our team and this organization. They are doing everything they can do to help us. MUNTurkey.com: How many students are there in your MUN Club? How do you choose your members for MUN Club? Is it open to everyone at TED Ege College? Our MUN story started with our Secretary General’s participation to a MUN in İzmir. Later then our advisor and our SG introduced MUN to the school. After making lots of meetings in our school and participating in various conferences around Turkey, we decided to organize Aydın’s first MUN conference. Since that day we have been encouraging the students in our school to join our MUN club and now, we have approximately 30 people in our club. We are looking forward to expanding the number of people who are interested in MUN in our school. Our prior aim is to spread MUN in Aydın. MUNTurkey.com: How can you define Model United Nations? Now you have a chance to organize an MUN from top to the bottom. What kind of innovation will MUNers see in TEKMUN 2018? What is the key? Model United Nations is all about raising the youth with susceptibility for the future, giving young people an opportunity to express themselves in front of a crowd and think like leaders to take steps for international peace.MUNers will see a team which is working with harmony and joy. Our key is to believe in what we do. MUNTurkey.com: TEKMUN 2018 Team, what kind of things will the advisors attending TEKMUN 2018 have? We are happy to welcome advisors who are interested in TEKMUN. Our Academic Advisor will guide and accompany them through the conference.If they would like to see the committees, it is okay for them to observe during the sessions. MUNTurkey.com: Except MUN, members of MUNTurkey.com would like to know you more. Could you please mention your favorite Movies, Tv Series, Bands, and Foods? As a team, we share different interests. In a common way, we like to listen to pop music while working but our Deputy SG is in love with Migos so he forces us to listen to hip-hop. We love watching horror movies together in the hotel when we attend to MUN conferences out of town. MUNTurkey.com: Thank you very much for this great interview. We are sure you would like to add more about yourself or MUN world. And, last but not least, what can you tell us about MUNTurkey.com? Do you think MUNTurkey.com contributes to the development of MUN conferences and students’ self-improvement? Since the day that we started cooperating with MUNTurkey.com they helped us out more than you could imagine. They guided us to make TEKMUN a better conference. Our team owes MUNTurkey.com a lot! As MUNTurkey.com PR Team, we would like to send our special thanks to all members of TEKMUN 2018 Team for this amazing interview! We are sure that TEKMUN 2018 is going to be a marvelous MUN conference considering the amazing team working hard to make everything perfect for everyone! All MUNers can visit the official website of TEKMUN. Special Interview with ETUMUN’18 Team: Professional MUN in the Center of Turkey! 5 Conceptions Of The 5 Misconceptions That First Timers Have About MUN Written by Zeynep ALTUNElis Odabasi and a great MUN Career Story along with "Siyah Ruj Team"